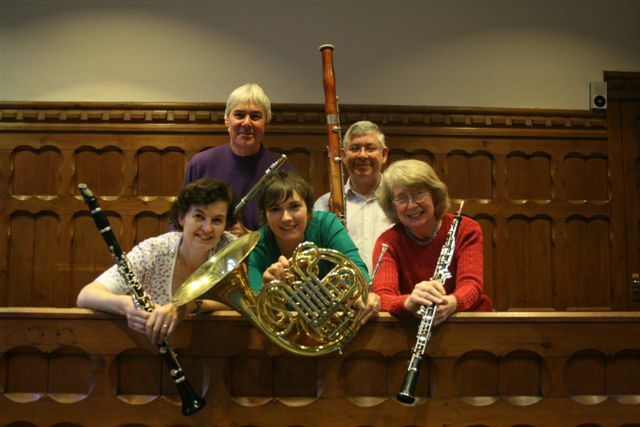 Pavlova Winds is an established Oxford-based ensemble of exceptional musicians with a wealth of experience of playing at corporate and University functions, weddings, garden parties, and formal dinners. 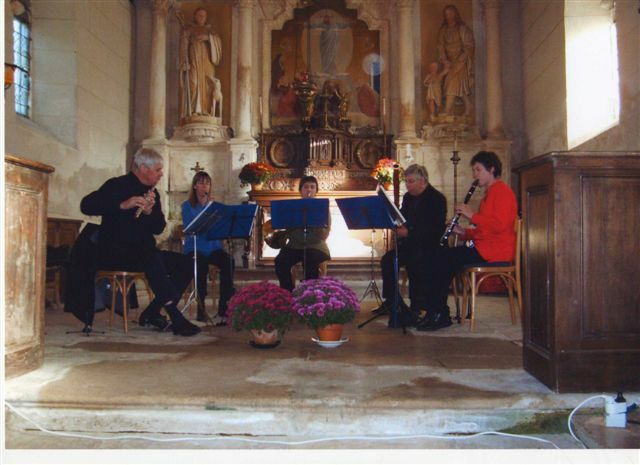 Pavlova also regularly performs full concert programmes across the region. We also provide ensembles of varying sizes – trios, quartets, or wind octets to suit the occasion. If you’d like to discuss booking the Pavlova Wind Quintet for a concert, a wedding, a party or garden party, or any other event, please contact simon.payne@virgin.net or 07775 904626. Download our leaflet in PDF format. 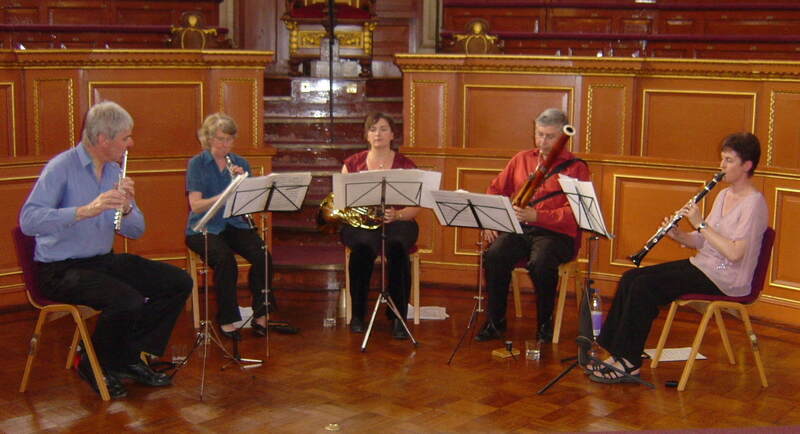 The group’s impressively broad repertoire includes music in a huge variety of styles from arrangements of light-hearted favourite tunes to the more substantial classics for wind quintet. The Pavlova Wind Quintet delights in mixing the familiar and the unfamiliar, classical and ethnic, serene and virtuosic. To hire the quintet for a concert or event, contact us on simon.payne@virgin.net or 07775 904626. 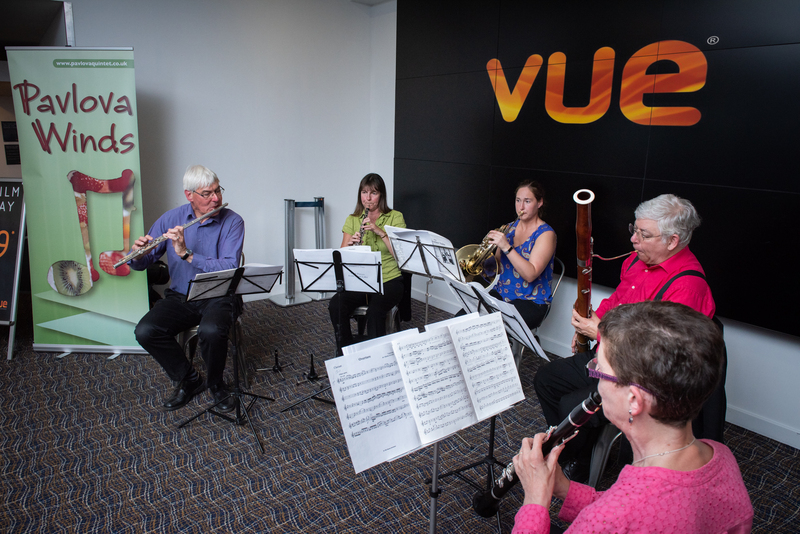 We also played for Vue Cinemas in Oxford to advertise a screening of Swan Lake. Here is the quintet with a troupe of young dancers. We visited Colmar in June 2018. Here is our new concert dress and a poster. Plus a view of one of the churches where we played. See our GDPR policy here.